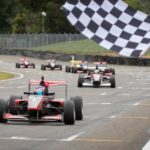 IMPETUS by the New Zealand Grand Prix’s promoter to deliver an astoundingly sharp ticket price for the country’s biggest national motorsport event has delighted the chief executive of host venue Manfeild, who says motorsport fans would be crazy not to take full advantage. A promotion by Speed Works Events specific to the February 8-10 meeting on Manfeild Circuit Chris Amon.. 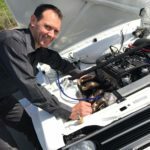 OPPORTUNITY to check out a locally-developed car that has taken its motorsport sphere by screaming storm will come at Manfeild on Saturday, November 17. A charity event for suicide awareness co-ordinated by the Manawatu Car Club’s drift committee, ShowVember is a free-entry activity that corrals a wide variety of track-themed performance cars for public scrutiny, with specific focus on the..
CLASSIC racing is about more than pure competition – another draw is the camaraderie. The enthusiast spirit that drives this weekend’s MG Classic on Manfeild Circuit Chris Amon is why this annual chance for drivers of all types of classic car to get onto the track and let rip remains so popular. So says Dean Curtis, of Palmerston North, whose.. The ease of demolition of three Manfeild Park buildings is a powerful reminder why their time had come. 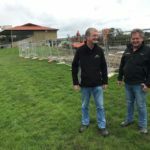 Grandstands bordering Brendon Hartley Drive, the main access into the venue from Feilding’s South St, have now been toppled. The buildings’ fate was sealed through abject inability to meet code compliance for earthquake risk. The poor state of the structures, also influenced..